Since 1873 Villa d’Este is considered the destination par excellence of Summit and Events of international scope. The timeless location, surrounded by the beauty of Lake Como, is in fact a combination of ancient charm and modernity. Visiting Villa d’Este means immersing yourself in a dimension of luxury, characterized by classical perfection and unparalleled privacy. Proceeding through its entrance gate is equivalent to entering an exclusive oasis that has no equal in the world. Spend a memorable Sunday with your loved ones in the splendid atmosphere of Villa d'Este. It will be an unforgettable day: enjoy a delightful lunch at the Veranda Restaurant with views on the Lake and on the iconic Mosaic, admire the exhibition of Easter eggs in the Impero Room, choose your own egg to take home as a nice souvenir. 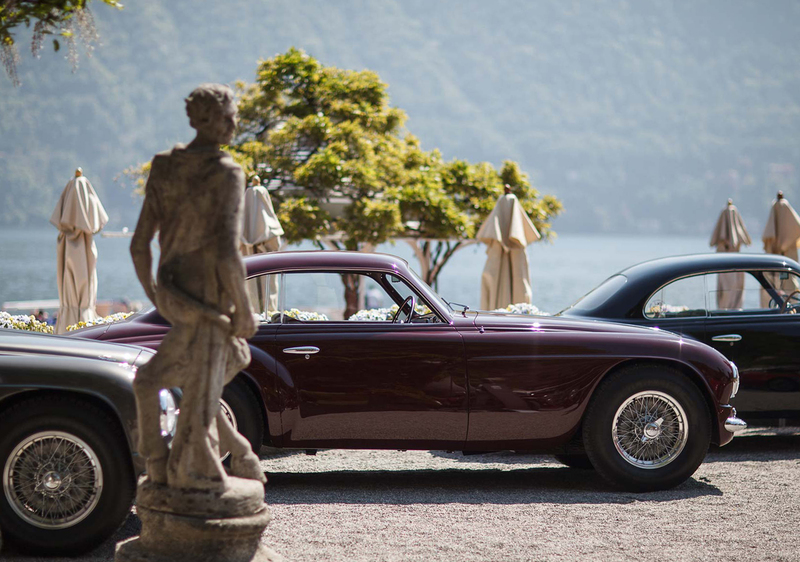 It is an unmissable event dedicated to the elegance, design, style and culture of the Belpaese: every April, the owners of the “Villa d'Este Coupé”, and the four-wheel enthusiasts, meet at Villa d'Este for an exciting reunion. Created by Carrozzeria Touring, the “Villa d'Este Coupé” (Alfa Romeo 6C 2500 SS) has been on track since 1949. The same year wins the Concours d’Elegance Villa d'Este from which it takes its name, marking the beginning of the modern automotive design. In the world there are only 25 copies, so it is among the vintage cars most sought after by great collectors. In May 2011 Villa d’Este bought one of its prototypes and the legendary Coupé is thus fully returned to its home of origin. Also for this reason the "Villa d'Este Style" is one of the most popular events in these parts. Gala dinners with music, shows, fireworks and classical music evenings celebrate the Italian Dolce Vita on Lake Como during the summer months. Another event not to be missed. An unmissable appointment for the wine industry. Experts, critics and collectors from all over the world meet at Villa d'Este in November to talk about wine and live their passion in an exclusive and in-depth way.